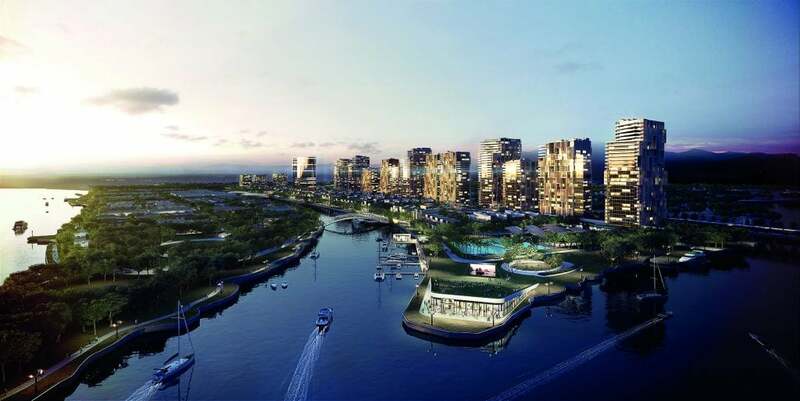 Part of an international design excellence competition for the River City regeneration project, DKO was successful in securing the first two stages with developer Refico. Part of an international design excellence competition for the River City regeneration project, DKO was successful in securing the first two stages with developer Refico. The major steel and cement factory was rezoned for residential use and will form part of Ho Chi Minh City’s largest ever mixed-use suburb. 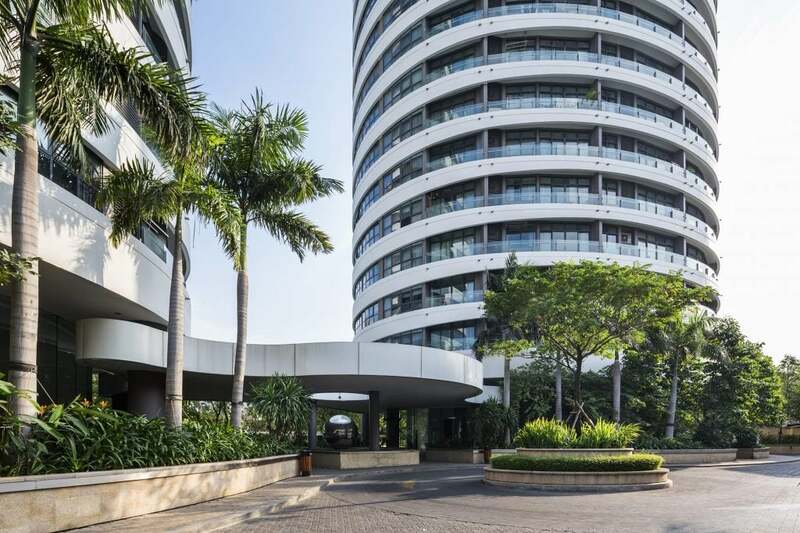 Located along the banks of an inner channel adjacent the Saigon River, the site is ideally linked to the CBD via Hanoi Highway and dedicated Metro station. DKO master planned the site to maximise pedestrian access, with low rise building forms arranged to best make use of extensive views across the river. The design team tested several massing options to ensure every dwelling secures views of water and integrated landscaping. Mature and appropriately-dense on-street planting was proposed along key pedestrian routes, with interspersed pocket parks providing intimate spaces for leisure and recreation whilst surrounded by water. An inter-connected pedestrian experience is provided along an inner canal and boardwalk, with east-west linkages tying all water elements together. A hybrid development of townhouses, custom homes, river villas and shophouses – where residential accommodation sits above mercantile activities – River City offers a mix of living typologies to provide a vibrant neighbourhood with a strong focus on people. A mammoth gantry structure from the existing concrete plant is proposed to be retained and repurposed as a community and mixed-use building, celebrating the industrial heritage of the site. The steel truss free-span space accommodates a variety of communal, gardening and sporting uses, with wall panels removed to maximise daylight and ventilation.